Misty Nicole Overstreet-Roberts, Owner, Blogger, Proprietor. 1) My policy here is quite simple. I can and will moderate any comment for any reason. This is my house. My rules. Be civil. Be nice. Play fair. Have fun. Learn something. Be profound, and not profane. 2) On my blog, which I consider my online home, my official commenting policy reflects the same rules my physical home follows, in that there will not be any tolerance for derogatory, defaming, demonstrative language, comments, or abusive of any kind; this blog is not the place to view your public and political “isms” for the world to see. 4) Trackbacks Are Comments: All trackbacks will be treated inline with our Comments Policy. 5) Email Privacy: Email addresses are required for commenting, and they are not published on the blog, nor shared. 6) Language and Manners: This blog is “family friendly” and comments which include offensive or inappropriate language, or considered by the blog owner and administrator to be rude and offensive, will be edited or deleted. 7) A Comment is Conversation: A comment which does not add to the conversation, runs of on an inappropriate tangent, or kills the conversation may be edited, moved, or deleted. 8) Limit Links: This blog is setup to automatically hold any blog comment with more than two links in moderation, which may delay your comment from appearing on this blog. Any blog comment with more than four links could be marked as comment spam. 9) How The Blogger Will Respond: Comments on this blog will only be responded to in direct response to the blog comment. The blogger will not (or will) respond privately via email or other communication method to a blog comment. 10) What To Do If Your Comment Does Not Appear: If you leave a comment on this blog and it does not appear in a reasonable time period, and you know that it does not violate these Comment Policies, contact the blogger at theladyprefers2review@gmail.com. 11) No Personal Attach Comments Permitted: In the interest of fair play, no personal attacks are permitted in this blog’s comments. You may question or argue the content, but not attack the blogger, nor any other commenters. Failure to respect fellow participants on this blog could result in removal and blocked access. 12) Comment Spam: Any comment assumed to be possible comment spam will be deleted and marked as comment spam. 13) Commenters Blocked: Anyone who violates this Comments Policy may be blocked from future access and/or commenting on this blog. 14) All Rights Reserved: The blog owner, administrator, contributor, editor, and/or author reserve the right to edit, delete, move, or mark as spam any and all comments. They also have the right to block access to any one or group from commenting or from the entire blog. 15) Hold Harmless: All comments within this blog are the responsibility of the commenter, not the blog owner, administrator, contributor, editor, or author. By submitting a comment on our blog, you agree that the comment content is your own, and to hold this site, [name], and all subsidiaries and representatives harmless from any and all repercussions, damages, or liability. 1) This blog is a personal blog written and edited by me. 2) By reading this blog, you acknowledge that you are doing so of your own free will and you are taking and following the information provided at your own risk. 3) Unless otherwise noted, I am the legal copyright holder of the material and pictures posted on my blog. My material may be used by peer blogs, if it is linked to my blog and I am given credit for my pictures and ideas. My images may also be pinned on Pinterest or shared through FaceBook, Twitter and other forms of social media if they are linked to my blog and I am given credit. My content may not be published, copied, or reprinted without my consent. 4) The information I provide on my blog is based on my own experience and is my own opinion. You are reading and following my advice at your own risk. Please always use safety precautions when performing a DIY project and always read and follow manufacturer’s directions for the products and tools you use. 5) I respect the privacy of my readers and will never sell your contact information to another company or put you on a spam list. I am not responsible for the privacy practices of my advertisers or blog commenters. 7) I am not responsible for the actions of my advertisers, sponsors or blog commenters. If you purchase a product through a link from my blog, you must take action with that company to resolve any issues, not this blog. 8) This blog accepts forms of cash advertising, sponsorship, paid insertions or other forms of compensation; compensation is a necessary evil which covers the cost of my server fees, fees for going to find deals, coupon database fees, and the like. 9) The main goal of this blog is to bring my readership money-saving deals and opportunities and, in some way, to add value to your life. To accomplish this goal, I spend time researching and validating deals and offerings. Some deals involve products or services sold by merchants that have affiliate programs. If I find a product or service, which I believe is a “great deal,” I have no issue referring you to the product or service with an affiliate link. 10) The LadyPrefers2Save may also allow third-party merchants to place text links, graphic buttons and/or banner ads on this site; I might get paid a commission if you use the link and/or buy the product. Sometimes I receive reward points, free samples, or some other incentive. Whether you use the link or buy the product is entirely up to you. Comments are welcome on all posted deals! 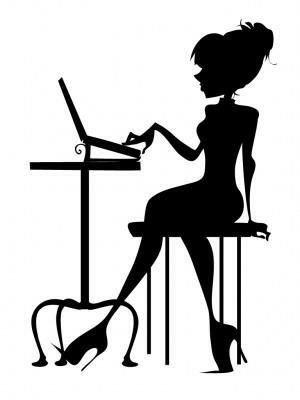 10) If the owner(s) of this blog, https://theladyprefers2review.wordpress.com, is compensated to provide opinion on products, services, websites and various other topics. Even though the owner of this blog receives compensation for my posts or advertisements, I always give my honest opinions, findings, beliefs, or experiences on those topics or products. The views and opinions expressed on this blog are purely the bloggers’ own. Any product claim, statistic, quote or other representation about a product or service should be verified with the manufacturer, provider or party in question. 11) This blog does not contain any content which might present a conflict of interest. 1) Like many other Web sites, http://theladyprefers2save.com makes use of log files. The information inside the log files includes internet protocol ( IP ) addresses, type of browser, Internet Service Provider ( ISP ), date/time stamp, referring/exit pages, and number of clicks to analyze trends, administer the site, track user’s movement around the site, and gather demographic information. IP addresses, and other such information are not linked to any information that is personally identifiable. 4) Google’s use of the DART cookie enables it to serve ads to users based on their visit to https://theladyprefers2review.wordpress.com and other sites on the Internet. 7) http://theladyprefers2save.com has no access to or control over these cookies that are used by third-party advertisers. 8) You should consult the respective privacy policies of these third-party ad servers for more detailed information on their practices as well as for instructions about how to opt-out of certain practices. This blog is written and edited by me. I take pride in giving my honest opinion and assessment of products and/or services submitted to me, and I welcome opportunities to feature products or services that I feel my readers could benefit from. The views and opinions expressed in this blog are purely mine, and they are based on my own, personal experience with the product or service I am writing about. I am not an expert and do not claim to be, and I will only endorse products or services that I believe, based on my own experiences, are worthy of endorsement. I reserve the right to opt-out of publishing a review if I do not feel that I can offer a fair and accurate opinion. I also reserve the right to choose not to review a product or service that I feel is irrelevant to my readers or not in keeping with the family-friendly atmosphere of this blog. Please note that this blog does accept compensation, and compensation may be in the form of cash advertising, sponsorship, paid insertions, free products or services, etc. It is important to me that I point out that I am NOT paid to review products; however, I do receive products (free of charge) to try out, and I may be compensated with gifts from companies after reviews are published. I do accept and keep free products, and compensation received may influence the advertising and content presented in this blog. I hope that through this blog I am able to help you and your family enjoy many wonderful days together. I appreciate your visits.